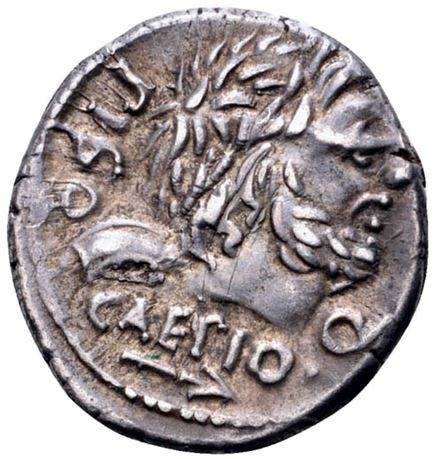 L. Calpurnius Piso Caesoninus was one of the moneyers for the year 100 BC. He was Quaestor Ostiensis - in Ostia - in the same year. The cognomen Caesoninus indicates that the forefather of this branch was originally adoped into gen Calpurnia from gens Caesonia.